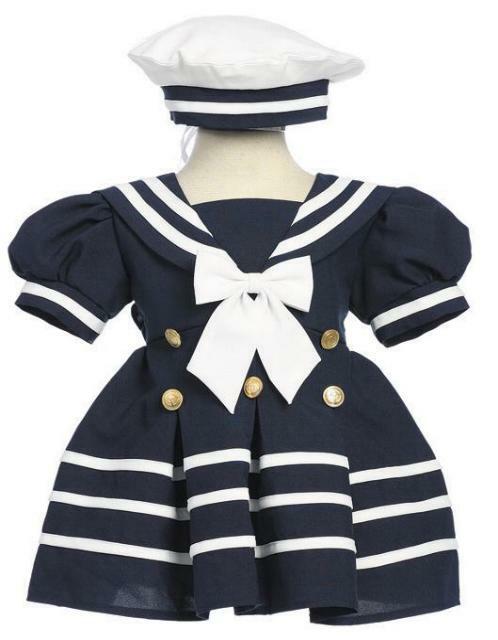 A Navy Blue Sailor Dress for girls. 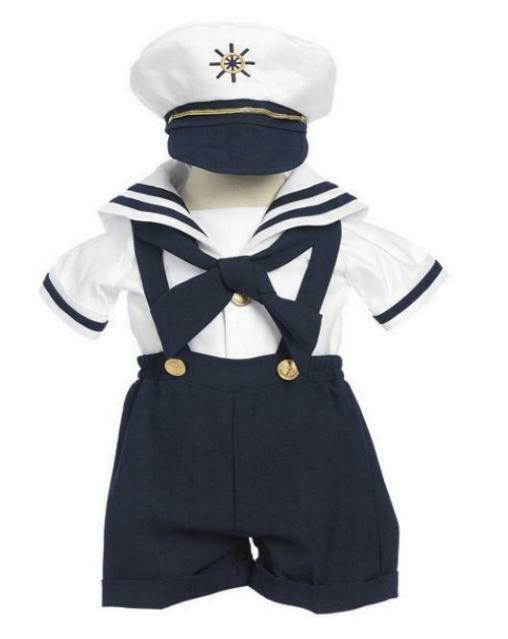 Great for a cruise, pictures and even boat party. 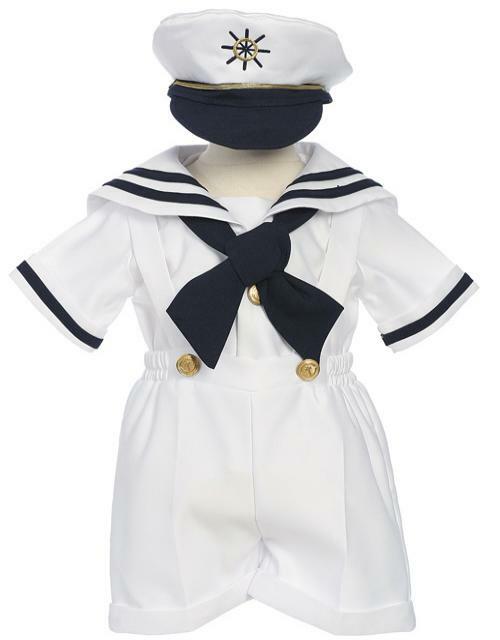 This sailor dress for baby or toddler girls comes with a matching hat.